Ducks and Beaver fans, listen up: There’s no reason to forget about your team on the big day. For their recent Corvallis wedding, newlyweds Erin Loveman, 33, and Kyle DeVan, 28, took their Beaver Fever to another level. 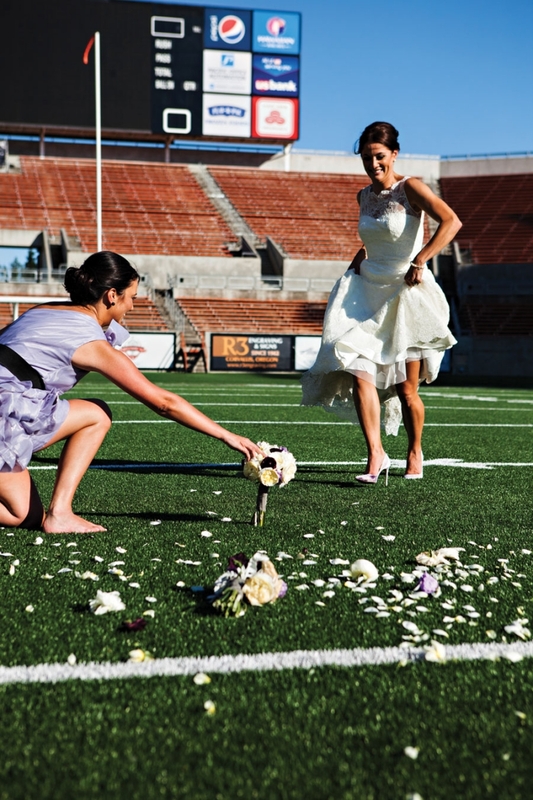 Guests signed two white Beavers footballs as a guest book, the ring bearer carried a decorative football (the rings tied to the laces) down the aisle and, for the finale at Oregon State University football’s home field at Reser Stadium, Erin kicked a bouquet down the gridiron to the cheers of guests watching from the balcony. It’s not only Beaver fans that bring their college pride to the big day. 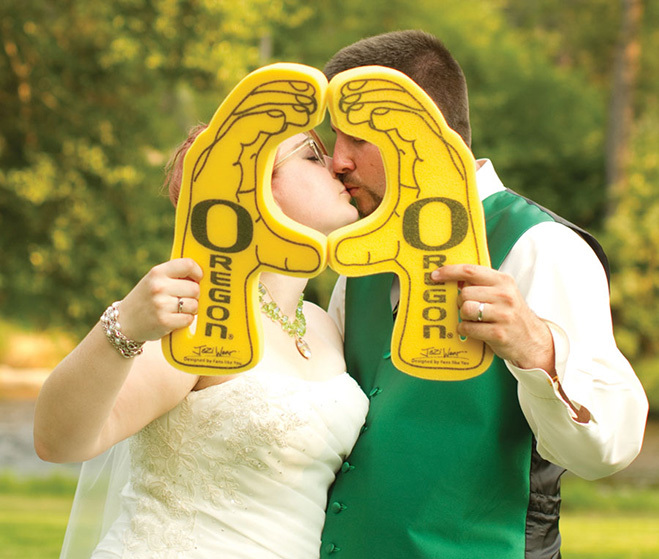 For Erin Trostel, 25, and Ben DeCarlow, 26, who met at the University of Oregon in 2008, their wedding was full-on Ducks. Green and yellow appeared everywhere: the bride’s jewelry, bridesmaids’ dresses, programs, cake pops and even the groom’s tie. Tables dressed with green and yellow linens were named after Oregon landmarks, with the head table sporting U of O, of course. There's nothing more magical than the moment you say "I do," so it's important to set the scene with a swoon-worthy backdrop.